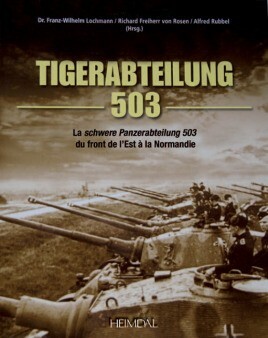 Unfortunately, due to sales rights restrictions, we cannot offer Tiger-Abteilung 503 for sale in your country. Dr. Franz-Wilhelm offers a well-researched history of this famous unit that was established on 4 May 1942, made famous not only by its efforts in the East but also in Normandy. More than 940 photographs and original documents, along with color profiles are included in this highly detailed work.